The makers of Baahubali 2: The Conclusion (Bahubali 2) made advance ticket booking available a week before its release and it is getting a good response. Director SS Rajamouli's Baahubali 2: The Conclusion (Bahubali 2) has received a superb response in advance booking with almost all the tickets sold out for the first weekend, a week before its release. Baahubali 2 is the sequel to the blockbuster movie Baahubali: The Beginning. The film has completed the formalities of the censor board, which has awarded U/A certificate without any cut, and it is scheduled to be release in theatres on April 28. It is the highly awaited Indian movie of 2017 and the question "Why Kattappa killed Baahubali?" has created a massive hype and curiosity around Baahubali 2. The makers of the Prabhas and Rana Daggubati-starrer have made huge arrangements for its release to meet the fans' demands. They even made booking for Baahubali 2 available a week in advance. The tickets were sold out like hot cakes within hours after they were opened for the public. 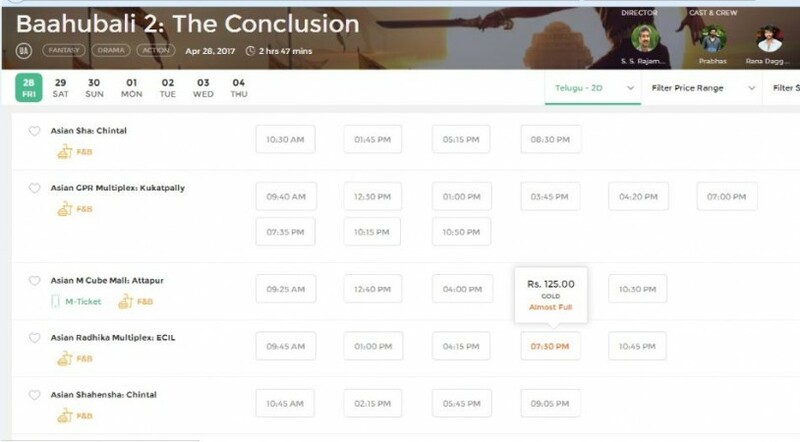 Baahubali 2 is set hit over 350 screens in Nizam region and as per BookMyShow, 12 screens opened advance ticket booking for 53 shows on April 28. The website said that hardly any show was left for booking hours after after the first day. This is not just for opening day, but for the first weekend. The film has received similar response in other parts of Andhra Pradesh and Telangana. As per BookMyShow, ticket booking for Baahubali 2 is opened in some screens in Tamil Nadu, Kerala, Maharashtra and other parts of North India. The threatres are fast filling up in all these locations. Though the controversy surrounding its release has been sorted out, the distributors are yet make advance booking available in Karnataka. The movie is getting decent response for advance booking in the international markets, too. 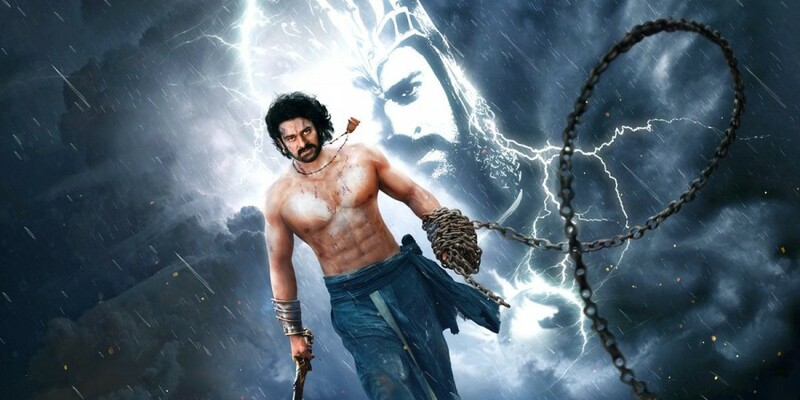 However, Baahubali: The Beginning was released in over 4,000 screens across the globe and it raked in over Rs 75 crore at the worldwide box office on its first day. It is the all-time biggest opener in the Indian cinema. Now, its sequel is slated for release in over 6,500 screens around the world. Baahubali 2 will definitely beat this record by collecting over Rs 100 crore at the global box office on its opening day.